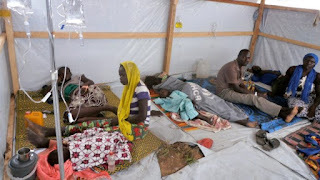 A cholera outbreak in Cameroon has claimed at least a dozen lives. 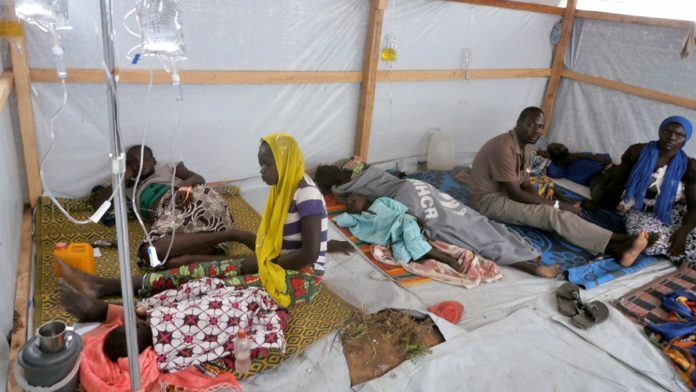 Hundreds of people have been rushed to several hospitals in the central African state. It is feared some of the cases were imported from Nigeria and may contaminate refugees fleeing the Boko Haram insurgency, according to Voanews.com reports. He says many people continue to defecate in the open air or in streams and river beds where both humans and animals go to find water to drink thereby facilitating the spread of cholera. He says hygiene is not respected as many people do not wash their hands with soap as advised. He says people should stop trusting the belief that an African is naturally vaccinated and cannot die of dirt.